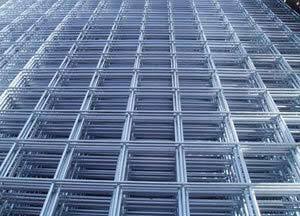 Our company is reckoned as one of the prime Manufacturers and Suppliers of GI Wire Mesh in India. The GI Wire Mesh (Galvanized Iron Wire Mesh) is a barrier made of connected strands of metal, fiber, or other flexible/ductile materials. It is used to screen out unwanted things in numerous industries such as construction, petroleum, chemical and many more. Also, GI Wire Mesh can be used in microwave ovens and Faraday cages as a shield against radio frequency radiation.